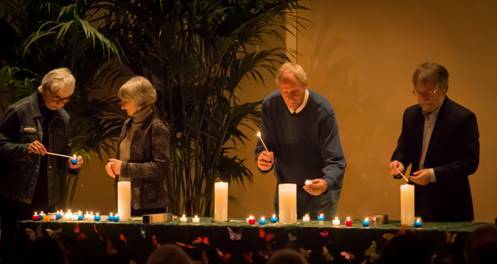 Every year on the 2nd Sunday of December, our TCF Marin Chapter joins thousands of other TCF chapters throughout the world in a worldwide candle lighting service to honor the memories of all children, regardless of age, who have died before their time. 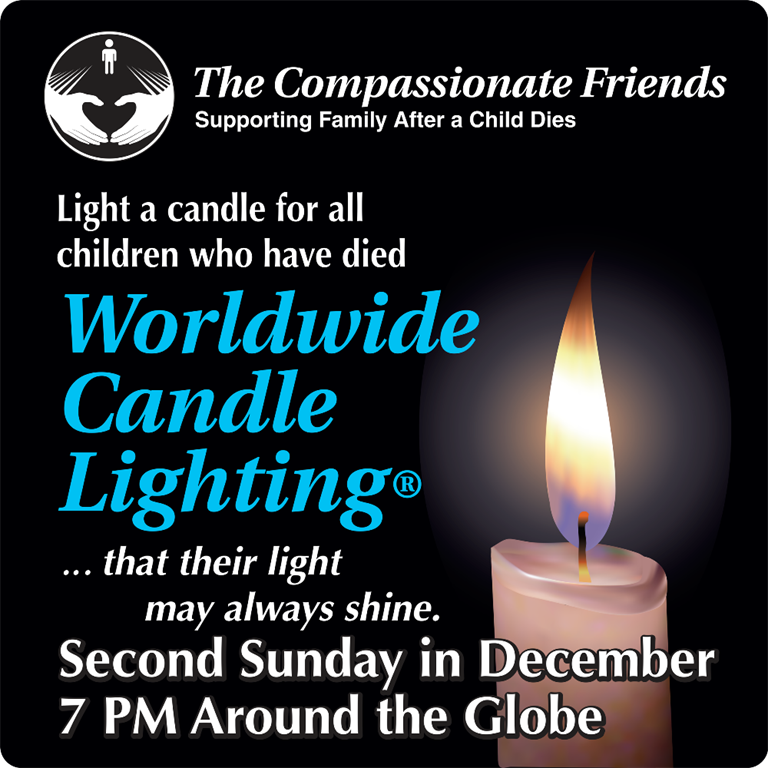 This special service features music, poetry, candle lighting and a special DVD of photos of our children set to music. See below for instructions on how to submit your child's photo for the DVD. Candles will be provided for everyone. We gather after the service in the community room for refreshments and conversation. 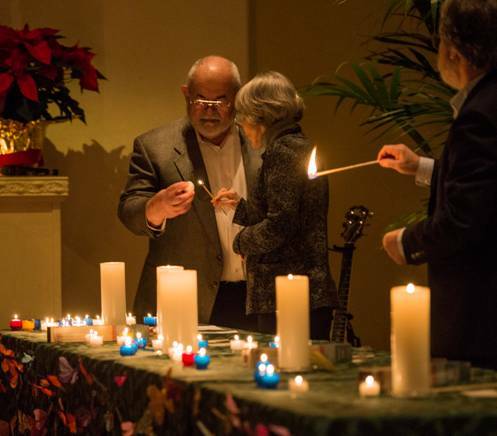 You are welcome to bring a framed photo of your child to the candle lighting for display and, if you are so inclined, a dessert or appetizer to share at the reception following the service.